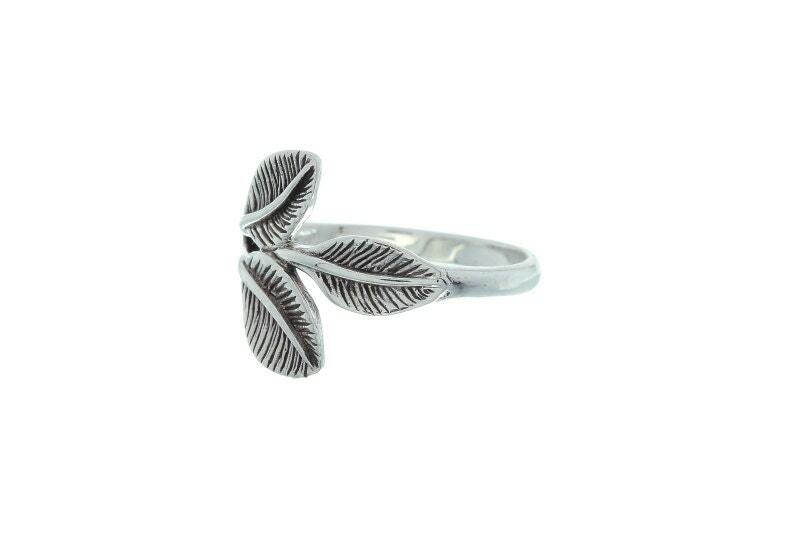 The ring features three lovely textured leaves. 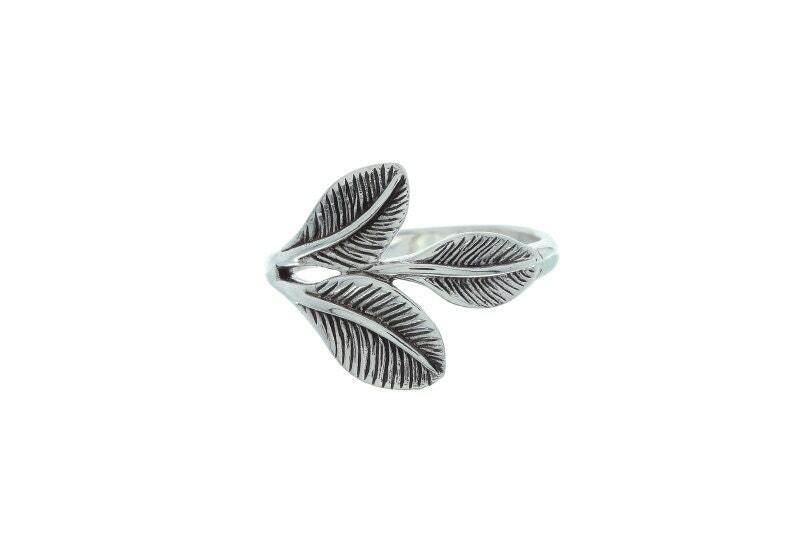 The leaves of this ring whisper life and energy. The dark patina finish accentuates the details in this piece. Available in sizes 5-10. US.